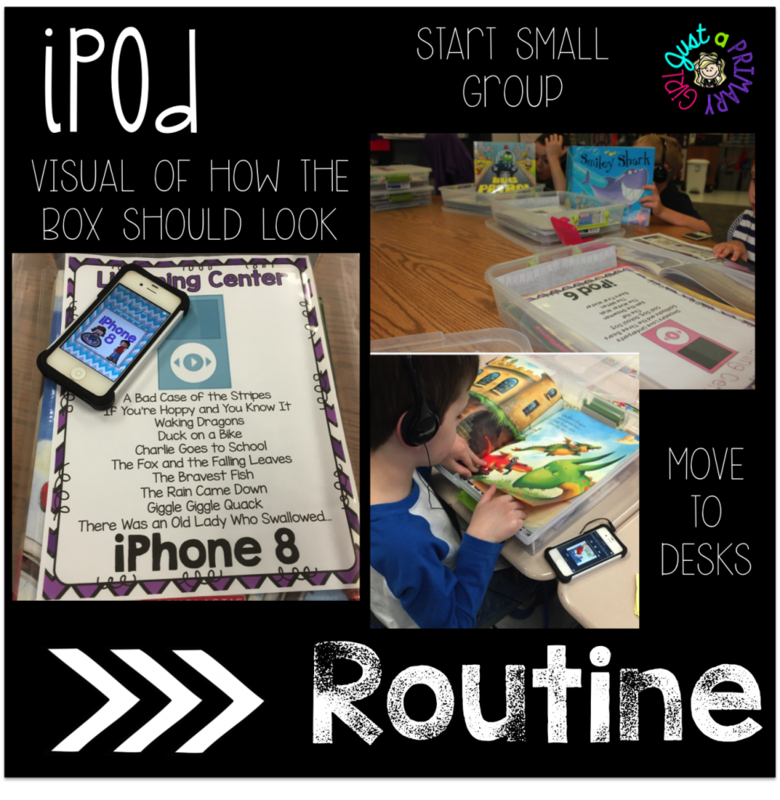 Do you use iPods in your classroom? This is how iPods saved my sanity. 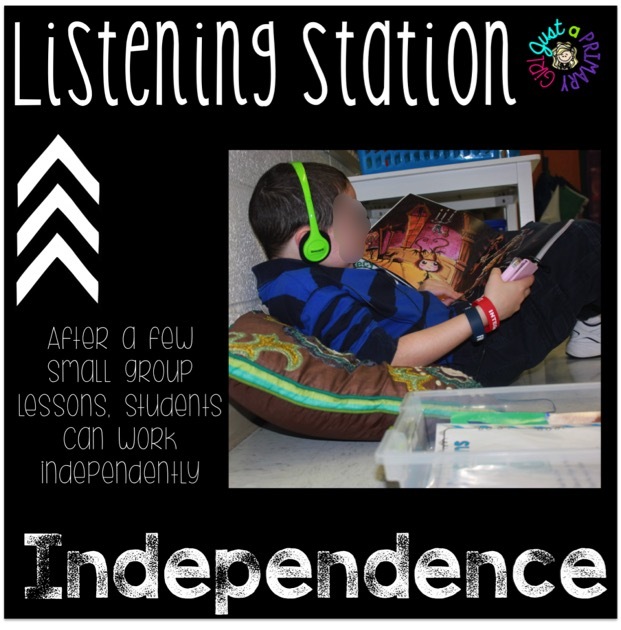 After my third year of teaching, I almost stopped using a listening station in my classroom. Never-ending sea of headphone tangles. Taking stock in Ziploc baggies. CD’s being used as amateur DJ’ing equipment. Teaching kids what a tape/CD player is and what the green, red and yellow sticker meant. Shrieking kids anytime the group moved on without them. Endless whining about story choice. Spending all my points and cash to get six copies of one book. Two kids yelling back and forth (with headphones on) like they had bad hearing aides. Unappreciated exercise from constantly being up to help fix the above issues. All the time it took to do all of these things, time away from my students I was to be directly teaching. Time is everything when you are a teacher. We need so much of it, but never have enough. With districts adding more and more to our plate, it is hard to get actual teaching in. Because of this, teachers are naturally some of the most efficient multi-taskers. When you teach young children, there are a ton of issues that can pop up, no matter how good at multi- tasking you are. 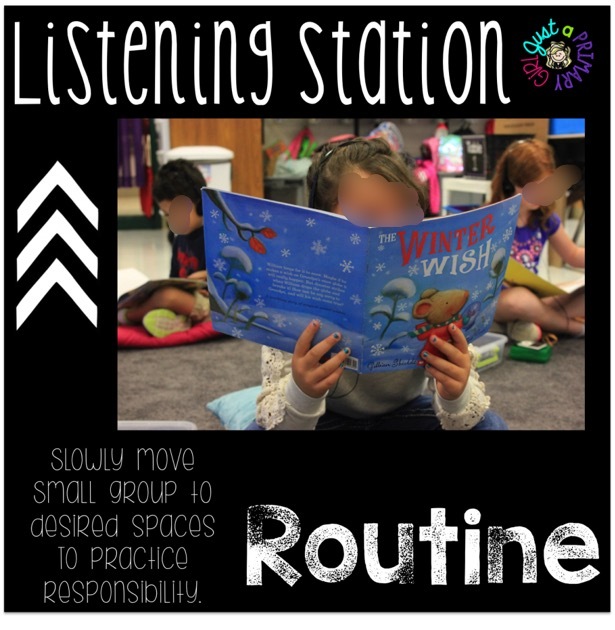 For me, Literacy Stations (centers, Daily 5 rotations, or whatever you may call it) were, I thought a critical part of my classroom, but it was too much work. In the summer of 2012, I was getting ready to upgrade my iPhone 4 to a new iPhone 5 and I thought, if I can listen to books on my iPod, why can’t I listen to Scholastic books? 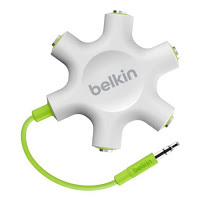 So that first year, I put just two or three books on my iPhone 4, and I bought this five way Belkin splitter that I found on amazon. My iPhone 4 in its bulky Otterbox changed everything. 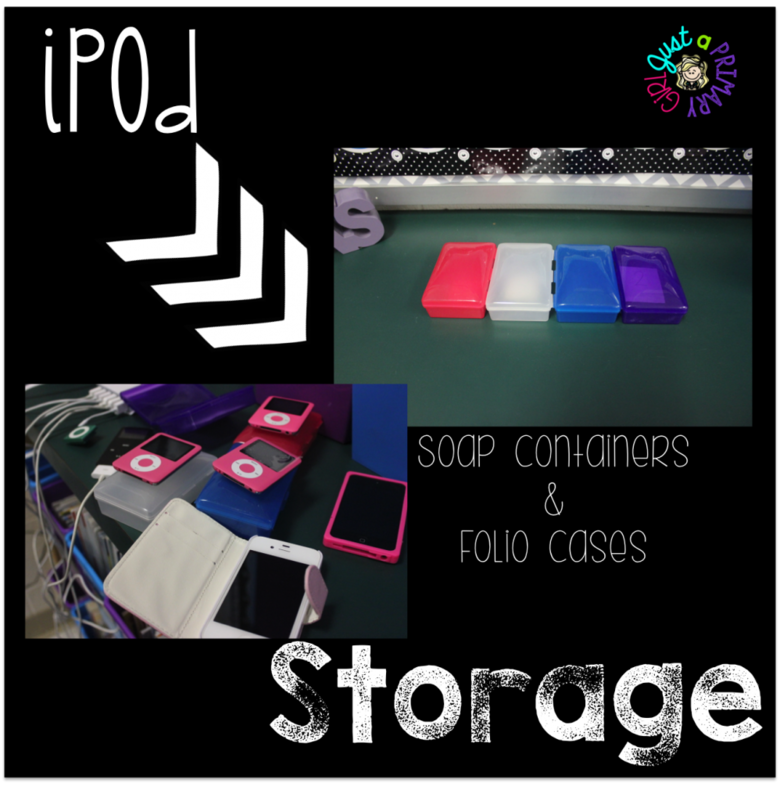 I am going to share with you what I store my iPhones/iPods in, how I got them, how you can get them and how to manage it all – and go back to teaching! I use soap containers from the Dollar Tree to house my iPod Nanos and my Shuffles. They fit well, they are protected if the box drops and they are large enough and colorful enough that my kids see them easily. They fit nicely inside my latch boxes. You can find the latch storage boxes here. This is why I use latch boxes over baskets, bags, or buckets. They can be carried easily by little hands. 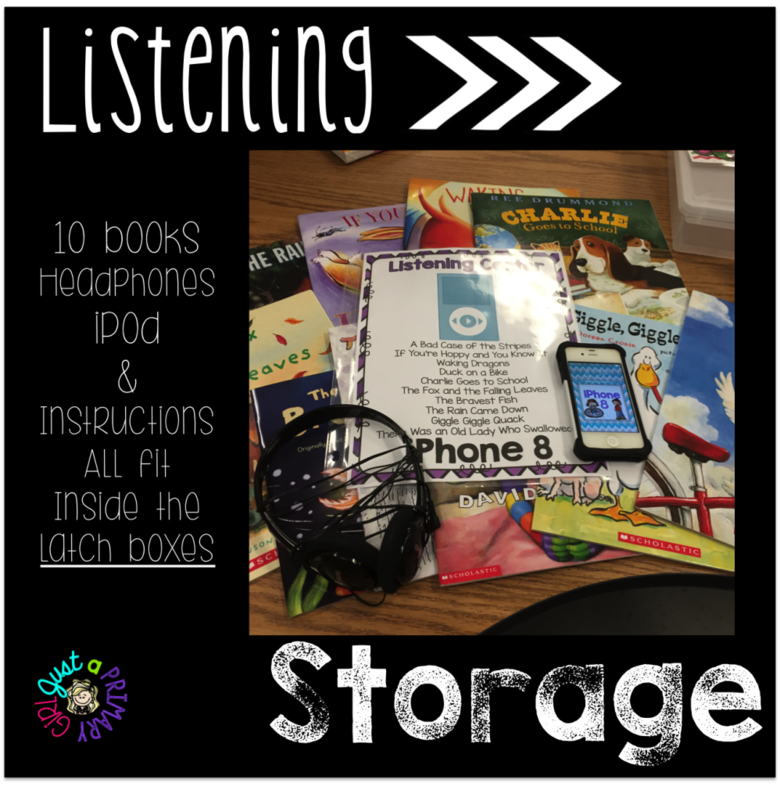 They hold 10 books, an iPod, and headphones in one place! 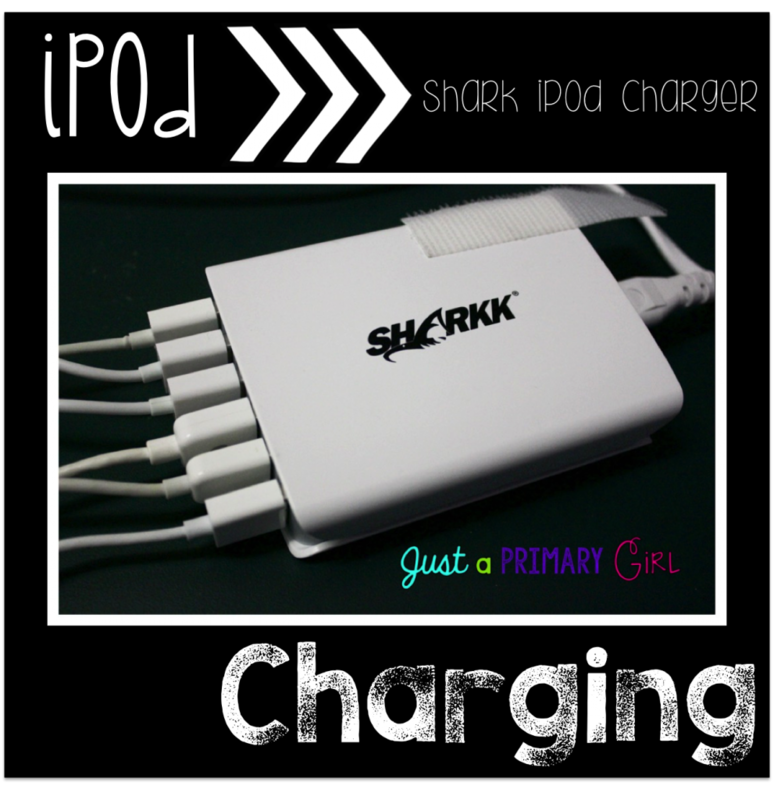 This shark USB charger is fantastic! You can charge SIX devices at one time. It has a wall outlet. I just love that I can charge six,without having to use every computer’s USB port and every outlet.I charge on Mondays and Wednesdays. Once I figure out who my responsible kid is, I make it the “Techie’s” job to do when they first come in on those days. 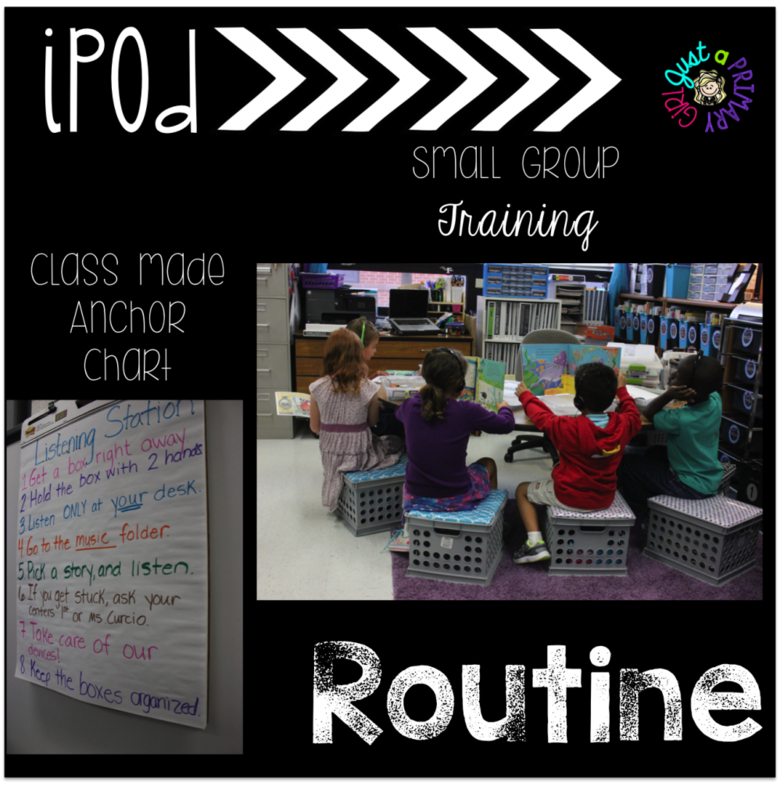 Routine is so important in my classroom from day one, as I am sure that it is for everyone. I allow my students to have choices within my literacy stations, but I choose where my students go. At the start of the year, I have specific ideas of what I want students to do. I need my students to be independent, so that I can get testing done quickly. I put my students at my table. Yes, it is yet another week that I am not doing guided reading, but I will tell you, that week is VITAL to my classroom working smoothly! I show the small group each of the devices that I have. We have a total of 12 devices. During the week, when stations end, they put everything away how I want it. (See picture above). After a week, I move them to their desks. I walk around checking in with them to see if they have questions. This gives them practice carrying the latch boxes and keeping all materials together. Then, after a week of “at desk” listening, I move students to the carpet. I don’t allow any other students to walk on the carpet. I teach my kids that if they are on the floor, their iPod/iPhone must be in their hand or in the box. After a week of carpet practice, I let them go and pick a place to comfortably read with a pillow or stuffed animal. Same rules apply. During all these times, I am working with kids to do word list testing where I don’t need a steady stretch of time. I have some suggestions on how to get them cheap or even free. I started by using my own old iPhone 4. Once everyone started upgrading their phones, I had back to school night. I spoke to parents about my idea of creating more listening centers. I let them know we would be thrilled to take some of their used iPods and iPhones to use as listening stations. Wouldn’t you know it, I got two very old iPods. They work. The kids like them. Win. Then, I sent home a note asking for old ones, I was given two iPhone 4’s, and a and NEW shuffle. The newest iPhone 6s is coming out, so you know people will be upgrading!! ASK THEM! Next, I went on my town’s Facebook yard sale site. I posted an ISO post. I simply posted “1st grade teacher looking for old iPhones, or iPods to use in classroom for students”. Luck struck again – I got three. If you need even cheaper, you can get what I like to call iPoods. They are fake but look VERY similar. 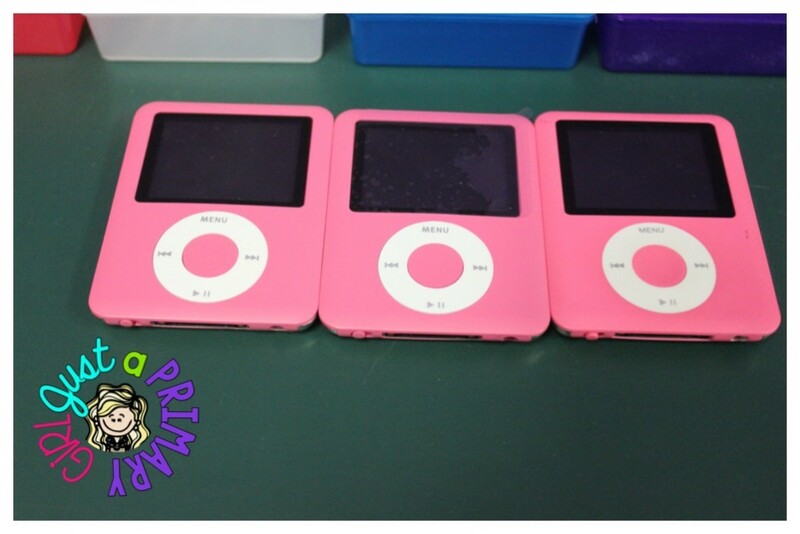 Click the picture below to get the $10.92 fake iPods. They work, but are not as easy for the kids to use. So these are back ups now in case one of the others break. My favorite picture of one of my little angels reading! I use Scholastic for all of my CD’s and books. I teach in a great area where parents will buy if you present it to them in a way that they realize just how much their children will benefit from buying. Back when I used to run cd player listening centers, I had to have 6 books and one CD so everyone had their own book. If I didn’t have six, they fought over it. With iPods, my copies are now in storage in case one of the books get ruined. Each listening center bin has a different book and audio. I put eight – ten books on each iPod. So each of my iPods have different stories. I have around 100 different stories and audio. I always get the 10,000 bonus points so that all my listening stations are free. I know that a lot of you don’t have the parent support like I do. If you have a team of teachers at your grade level, you can make a grade level account for Scholastic. That way all your orders can go on one account, making it possible to get some points. 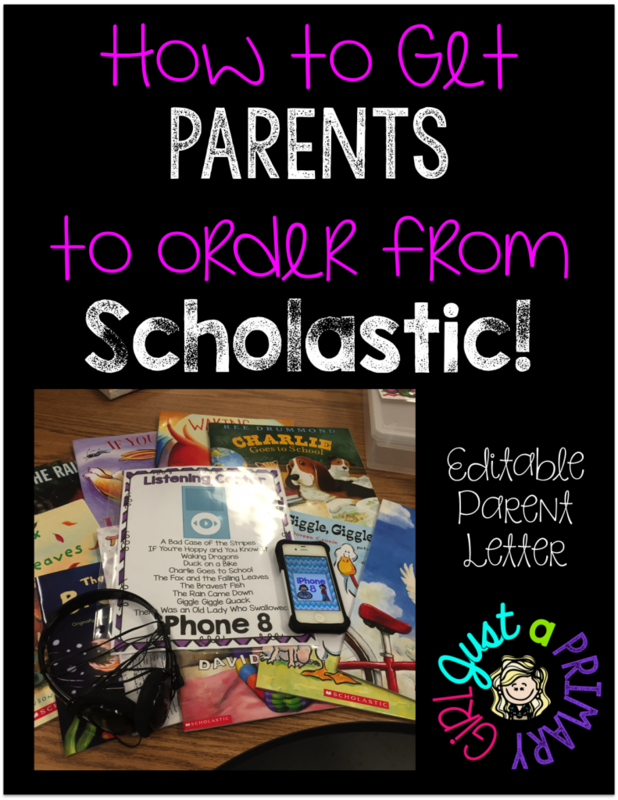 Here is the FREEBIE Scholastic letter that I use and send home. Once you get all those bonus points, and order your listening centers, you will need to upload them to your iTunes account and devices. Here is how you do it: First, insert the cd into your computer’s drive. You will see a pop up window. It will ask if you want to import the cd to your iTunes library. Hit “no.” I know this sounds silly, but you want to be able to pick if you want the story with beeps or without beeps. I personally only do the one with beeps. I also don’t do the comprehension questions because many of my students wouldn’t be able to do that. Click the box for the stories you want, then upload. As they are uploading, I go in and right click. Hit “Get Info” I go to the “Art Work” tab. I search in google for a picture of the story so my kids can easily pick by the picture of the story. Click add artwork. Find the picture that you saved and hit insert. The awesome thing about using iTunes is that you can make your playlists however you want them. You can make the playlists monthly playlists and have each iPod change monthly and they all have all the books. You can make the playlists all different and each iPod would be a new experience! It is really up to you and how much management you want. I hope you enjoyed this blog post as much as I enjoyed writing it! I am the spunky, in your face personality behind Just a Primary Girl. I have taught 1st grade for the last five years. I have also taught third, fourth and kindergarten. 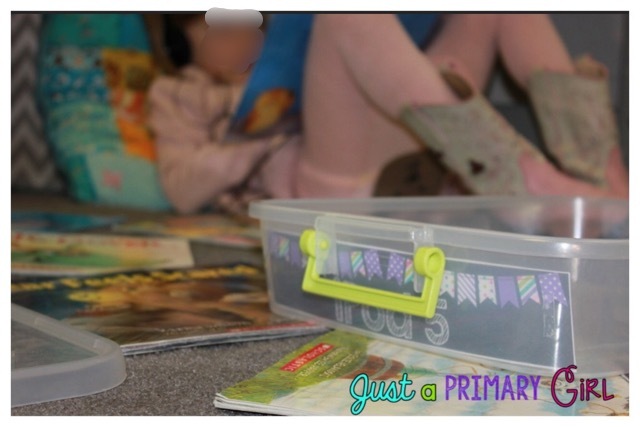 I have been blogging, and creating for TPT for two and a half years. My husband Scott and I have been married 9 years. We have a 5 year old, Reid and a French Bulldog puppy named, Meatball. I love sharing my life, fashion, classroom and ideas with all of you. 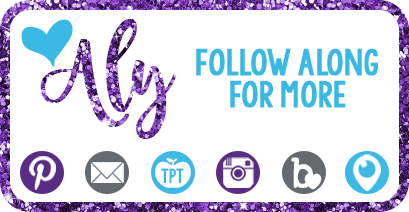 You can find me on TPT, Instagram, and Facebook. I have 3 CD players and 3 iPads. It works but it isn't the ideal setup. I don't have anything! I'm using the journeys curriculum, and there is a listening center, but I don't have the ability to actually use it. I'd love to set one up for my struggling kiddos to listen to our anchor text a few times so they can have an easier time answering the comprehension questions. We have 3 ipods that we tried to use but they ended up staying in the closet. Your post is just what we needed to give us ideas on how to be organized! We've also asked parents if they have any old ipods/iphones to donate ... hopefully we will get a few more. Thanks! 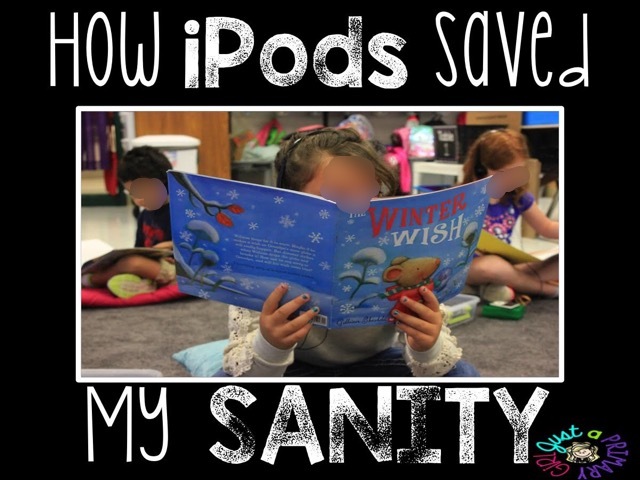 As a technology specialist and SLP Ido not us listening stations but I would love to be able to gift this tone of the primary teachers in my building.they all use Daily 5 and utilize iPads and qr codes to online stories. 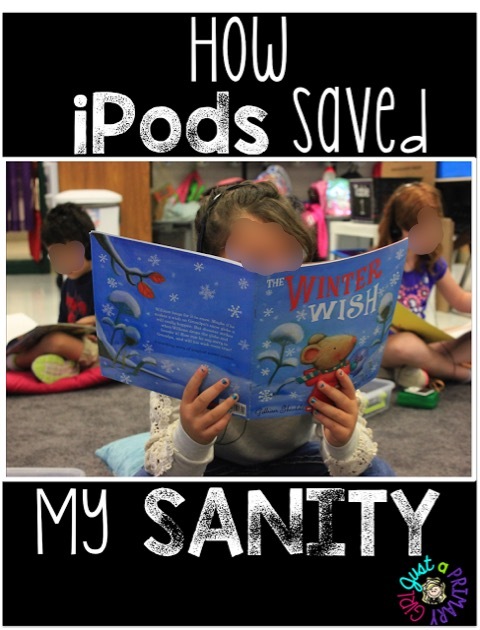 I am a 4th grade teacher and I use the Daily 5 to supplement the canned reading program we use. My cuties love the stations, and they especially love the Listening station. Currently I am using the 4 computer stations I have in my room to have the kiddos use the site Storylineonline.net, where they can listen to actors and actresses read picture books. In the next unit I will be using it for them to go to a site called pebblegonext, where they will read about the Iroquois Nation. At any rate, I am heading over to Education to the Core to read your blog post about the iPads. I'd love to learn more and get my hands on some!! I have been going "old school" with my bulky cd players. There are times that I just want to pitch them! 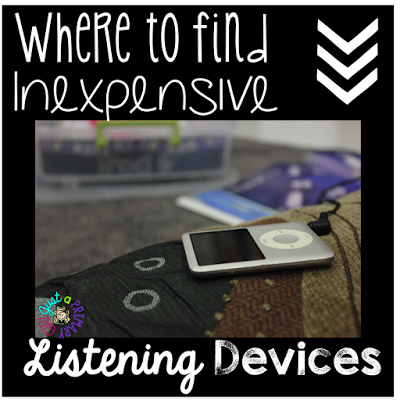 I've got 1 old nano and an old iPod touch - - This would be great to get started! !